Collin with his Dome Miniature Nativity 1Printed Sheet and Dome Miniature Nativity 2assembled crèche. This Collection Combo gives you two splendid sheets to assemble, and Premium Download files to print them again as you wish. The 8.5 x 11 sheets are quality printed with fade-resistant inks on professional media paper, and you'll love assembling them and adding them to your collection. The Dome Miniature Nativity 1 & 2 are reminiscent of the Heureux Noël Miniature Nativity with which they shares its beautifully drawn figures. 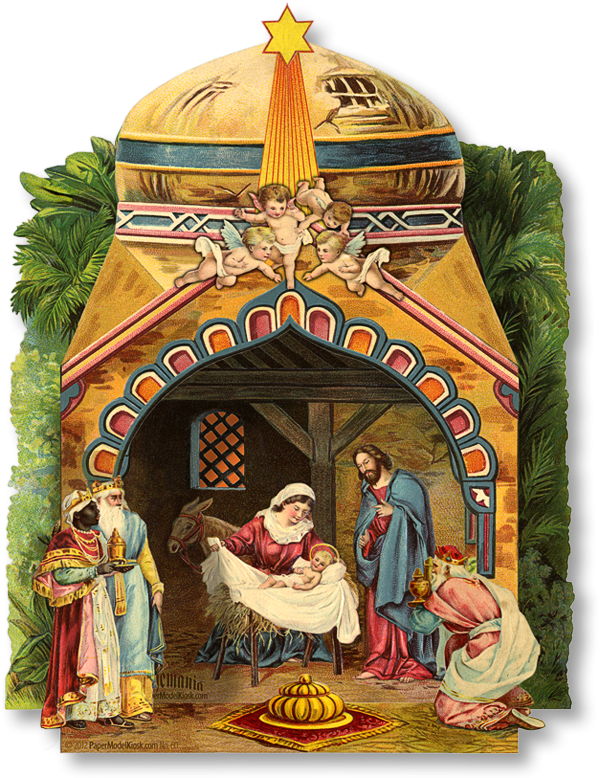 A manger window glows with orange vellum, and the green of palms and trees surrounds the manger. Complete step-by-step instructions are included with your Premium DownloadsPDF, but you probably won't need to read a word to assemble the Dome Miniature Nativity 1 & 2! 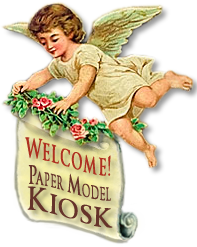 Two Premium Downloads and 8.5 x 11 quality Printed Sheets of Dome Miniature Nativity 1 & 2. Step-by-step instructions make assembly easy.